The long wait is over! Finally, Samahan ng Nagkakaisang Mamamayan Para sa Pagsulong at Pag-unladsa Brgy. 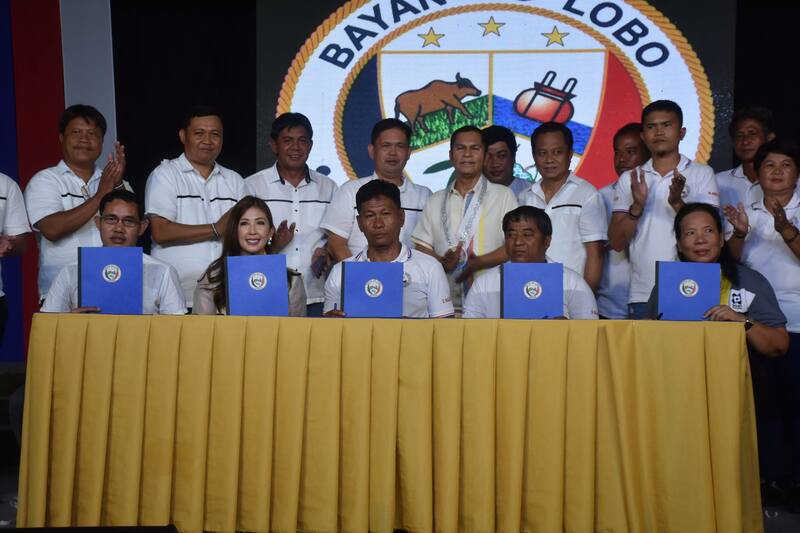 Sawang's (SNMPPBS) Asinan project is on its way to large volume production affirmed next to the inauguration and technology transfer ceremonies led by DOST Batangas and LGU Lobo as part of the Municipality's 147th founding anniversary held at Lobo, Batangas, Sept. 27. Hon. Gaudioso R. Manalo, Mayor-LGU Lobo, Ms. Felina C. Malabanan, Provincial Director-DOST Batangas, Mr. Carlos De Vera, Supervising Science Research Specialist-DOST ITDI, and Mr. Glenn Macatangay, President- SNMPPBS, spearheaded the segmented undertakings. A symbolic takuyan basket designed with light bulb from DOST Batangas was handed to Mr. Macatangay as a gesture of technology transfer to the association during the opening ceremonies. 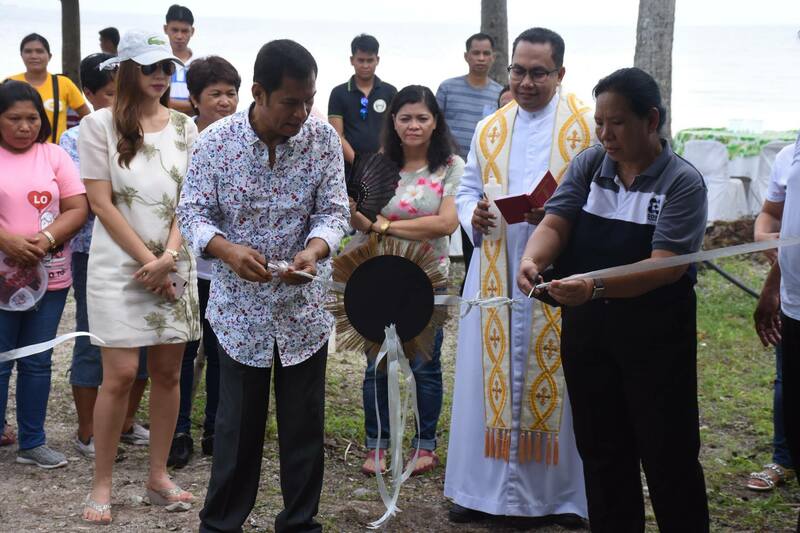 Blessing and ribbon cutting ceremonies were conducted at the established salt production facility at Brgy. Sawang, Lobo, Batangas. Meanwhile, to assure that the produced salt of the association will curve good source of income, Ms. Lota Manalo, owner of Ginga Agri Food, initiated a Memorandum of Understanding (MOU) with SNMPPBS which discerns the association's responsibility to supply 80% of their produced salt to Ginga Agri Food for trading to different distribution channels. MOU Signing was also facilitated during the opening ceremonies represented by Ms. Manalo, Mr. Macatangay, Ms. Malabanan and witnesses. Forum on Salt Iodization was also facilitated by Mr. Carlos De Vera to capacitate the production workers of the association on the salt production and iodization technology. He discussed different types and methods of salt production, chemical composition and salt impurities of the salt during cooking and the appropriate amount of iodine used in salt iodization process. He also demonstrated the use of the DOST-ITDI designed tumble mixer for salt iodization process. The rehabilitation of the asinan is part of DOST CALABARZON's Community Empowerment through Science and Technology (CEST) project in Lobo, Batangas. It was a pursuit in transforming the old practice of salt cooking using firewoods as fuel to conform with the ASIN Law and food safety requirements. 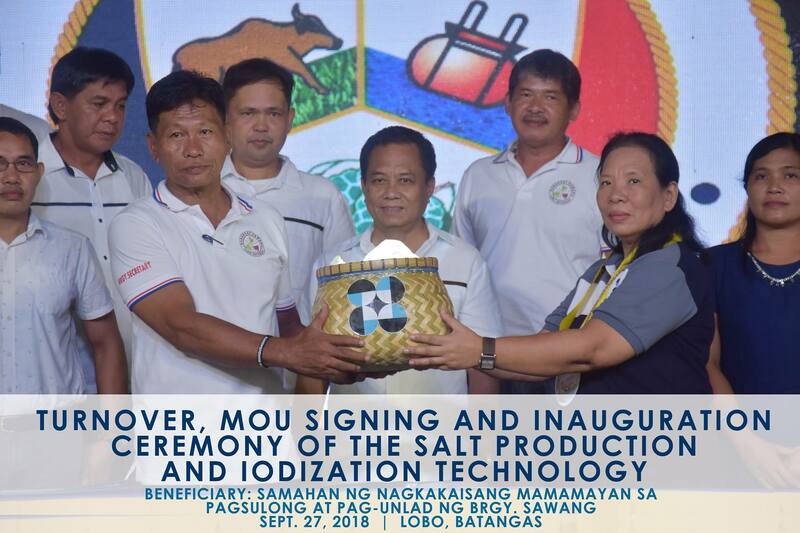 It aimed to improve SNMPPBS's salt production facility by adopting the DOST-ITDI designed technology on salt production and iodization. The improvement comprised the development of kilns, hopper, stainless steel cooking vats, chimney, motor pump installation, and salt iodizing machine among others. Significant also in these design is the utilization of rice hull instead of firewood alone as fuel for kiln to comply with environment-related regulations.